So, Nick Newman has been kicked off his daddy's ranch, although it would have been much better if Victor had given him some notice; but that's not Victor's style. It's about time Nick left anyway. He admitted so himself. It's the best thing for him and he should have done it long ago. It's the only way he'll be able to break free of "Moneybags." After all, it doesn't take a genius to figure out that as long as Victor pays the piper, he'll call the tune. 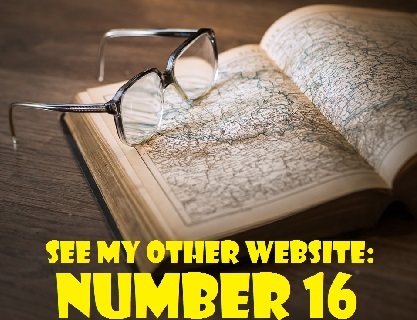 This is Nick's chance to start a new life and be truly independent. However, his future will not be with Chelsea. Although the two of them think that they will live together in bliss, it isn't going to happen. They have been keeping huge secrets from each other. The Dina/Graham story is intriguing, but I think the writers need to give us a few answers to the mystery soon. If they keep us in suspense too long, we will lose interest. Unfortunately, it sometimes appears as if they don't know the answers themselves, that they are just writing this as they go along. One day Dina seems as if she is developing dementia. Another day she admits to being depressed. It's quite amusing to see Dina working at Jabot and to see her lock horns with Gloria. It should be duly noted that Gloria is reporting to Graham about how Dina is doing at Jabot. In other words, she's Graham's spy. Dina made s mathematical miscalculation in her first project for Jabot. That sounds like another sign that she may be suffering from the onset of dementia. However, I also wonder if Graham has been tampering with her medication. Who knows? Do the writers even know yet? At least we've finally learned what's wrong with Princess Victoria. She's been having momentary blackouts, distorted hearing and fuzziness ever since Abby threw a drink at her and she fell. She claimed that the doctor told her she had a minor concussion and she confessed to Neil Winters that she's "not at the top of her game." Now her doctor has told her she's still having lingering symptoms from her concussion. The symptoms may last a while and she should avoid stress. With all the problems she's having, I don't know how she's going to accomplish that. Well, at least she didn't sign a deal with that sleazebag businessman, Benjamin Hochman. Still, her life is quite a mess right now. Speaking of messy lives, can things get any worse for Sugar Cane Ashby? He's unemployed, down in the dumps, Lily has kicked him out and his children are disillusioned with him. His father-in-law, Neil Winter, had some advice for him, though. He reminded Cane of an old saying: "We make our own luck." Many viewers are pleased that Cane is paying for his transgressions. Nevertheless, Daniel Goddard, the Australian actor who portrays Cane, defends his beleaguered character. Goddard made the following comment about Cane to TV Insider. "He's almost an anomaly in this genre. Cane is not a bed-hopper like Billy or Nick. He's a man of integrity who truly loves his wife and children. He sets the standard for family values. But he made a very stupid mistake and his world collapsed - and then he's made it worse by lying to keep his loved ones from being hurt and to stop his company from being ruined." Okay, Daniel, you've made some valid points, but I still wouldn't let Cane off the hook that easily. After all, he ended up damaging his own company out of pure spite. He was determined to get revenge on Billy. He was also willing to share Brass & Sassy's secrets with Jack Abbott and Benjamin Hochman. That's corporate espionage. To his credit, though, he sold his beloved sports car and paid the twins' tuition. As for Lily, after kicking Cane out of their home, it didn't take her very long to lock lips with Jordan. Glad to have a break from Chloe and Kevin. Absolutely detest Nikki and Jack together again. Come on writers!!!!!! Getting used to Sharon and Scott. I was so glad to see Cane get what he deserves. Wonder where that's going??? Interested in the Dina and Graham storyline. Still wonder what he's up to. Well, your break from Kevin and Chloe won't be too long, Carly, because Greg Rikaart (Kevin) is returning to the show. As for Nikki and Jack, I think she has better chemistry with Victor. Too bad he's so controlling, scheming, dastardly and ruthless, although Jack's behaviour hasn't been much better lately. Don't get too used to Sharon and Scott together because it's doubtful they'll remain a couple for the long term. As I've mentioned before, I think Scot will end up with Abby and Sharon will reunite with Nick Newman. Yes, Cane deserved to suffer the consequences tor his actions and his poor judgment, but I think he's paid enough now. The Dina and Graham storyline is definitely intriguing. I Just hope that when we finally discover the truth about them, it will be surprising and just as intriguing. Christian, is he raising himself? Sharon shaved Scott's beard, but she should have reached for the scissors too to chop his locks. I predict that Abby is going to be kidnapped and will be missing for a while. She is having a baby in real life.and they will have to write her off. Why is Cane in such terrible financial trouble? He was a very wealthy executive. He was even rich enough to bid against billionaire Devon for a fancy sports car at a fundraising benefit. Benjaman Hochman is a wealthy corporate raider. Why would he bother helping Jack get inside information on Brass & Sassy? He's going to stab Jack in the back anyway. He may even find himself falling for Victoria. It seems, Helen, that Christian has been primarily raised by his nanny. He's a little too young to bring to The Underground. As for Scott, he does look better, but his hair needs to be styled much more attractively. Another one who really needs to trim his mop is Reed. How does he see with all that hair in his eyes? At least Reed can argue that he's trying to cultivate a rock star image. Helen, I have to agree with your prediction about Abby being kidnapped. I'm sure her daddy Victor will be asked to pay a ransom for her safe release. Scott will help to free her and they will fall in love. As for Benjaman Hochman, he can be charming, but I wouldn't trust him at all. He didn't get a chance to stab Jack in the back because Victoria refused to accept a loan from him when she discovered he was planning to hire Cane to provide him with inside information about Brass & Sassy. Given the chance, however, Hochman would have backstabbed Jack. He's an opportunist and is eager to take advantage of anything that will advance his agenda.. He was certainly quick to claim responsibility for the flowers that he didn't send to Victoria. I know it's just a soap, but I'm wondering why there is so much hoopla about bailing out Brass & Sassy. Victoria and her siblings have gazillions of dollars from their law suit against Victor. Nikki is well-heeled, thanks to Victor, and so on. It sorts of tinges the whole storyline with a lack of credibility. Well said, CC. I couldn't agree more. We all know soaps can't be completely realistic. At the same time, however, they can only stretch the truth so far or they will loose credibility. The Brass & Sassy storyline has some very entertaining aspects to it. Unfortunately, in some aspects, such as the one you have mentioned, the storyline is not believable. Another Newman, is set to make a guest appearance on The Young and the Restless - only this time he's not a member of the prominent Genoa City family. 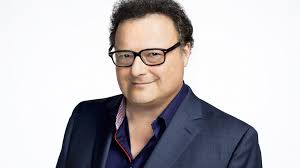 Seinfeld fans will be pleased to know that Wayne Knight, who portrayed postal worker Newman on the hit comedy, is heading to Genoa City. Knight has been cast in the role of Irv West, a music promoter, who will come to town on Wednesday, September 20th and Thursday September 21st on CBS (Tuedsay September 19th and Wednesday, September 20th (Global TV, Canada. According to Yahoo!, he will check out GC's music scene and meet Tessa Porter (Cait Fairbanks), Noah Newman (Robert Anderson) and Devon Hamilton (Bryton James). He will also cross paths with other characters such as Mariah, Scott and Sharon. About two moths ago, Melissa Ordway (Abby Newman) and her husband, Justin Gaston (ex-Ben Weston, Days of Our Lives), revealed that they are expecting their second child. Now the couple has announced on Instagram that their baby is girl, a little sister for their daughter Olivia. Their new bundle of joy is due in January. 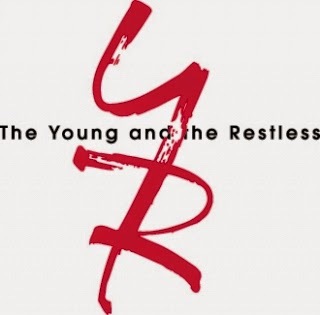 Which of these Y&R relationships is most likely to last the longest? That's all for now. Please remember that the next edition of Y&R Report will appear in this space on Saturday. September 2, 2017. Hope you enjoy the rest of August.